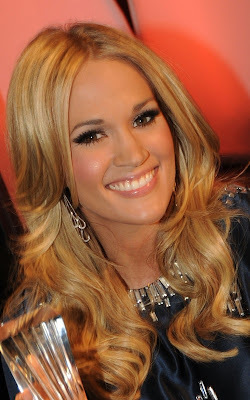 Take part in a night honored the best in country music, Carrie Underwood showed up at the CMT Artists of the Year event in Franklin, Tennessee on Tuesday night November 30. Held at The Factory, "Before He Cheats" singer was dressed in a Jenny Packham Spring / Summer 2011 collection dress complimented with a multi-colored Swarovski crystals clutch 18k white gold earrings Lumina. 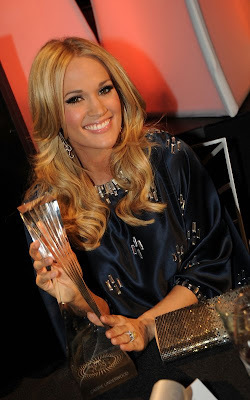 During the festival, offered Miss Underwood the performance, but also called on stage to accept her Artist of the Year trophy.